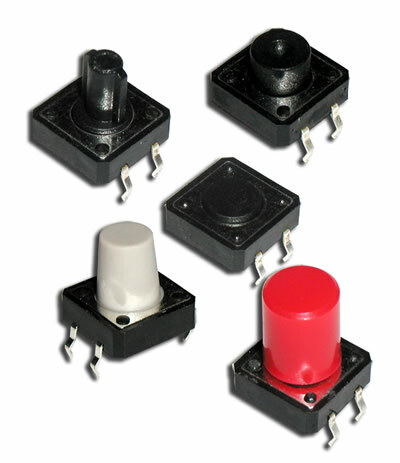 12mm square in size, the CT1103 is a through-hole termination tactile switch button. 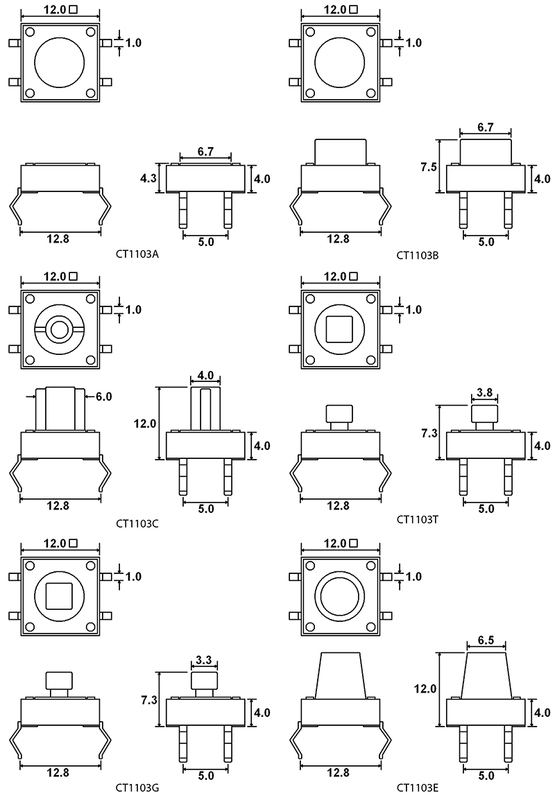 Offering six types of actuator options, the actuation force of this SPST momentary switch is 180gF. Ten cap options with color choices of white, black, red, dark gray and light gray, along with other custom color options. This tact switch is made with a stainless steel cover and a 6/6 nylon material for the actuator and housing.